In the wake of her decision to ignore Republican primary voters and run in the general election as a write-in candidate, Sen. Lisa Murkowski will have her seniority position on the Senate Energy Committee stripped by her GOP colleagues. I guess tarring, feathering and riding her out of town on a rail wasn't a serious option. Senate Republicans just said they will move tomorrow to strip Alaska Sen. Lisa Murkowski, R-Alaska, from her post as ranking Republican on the Senate Energy Committee. 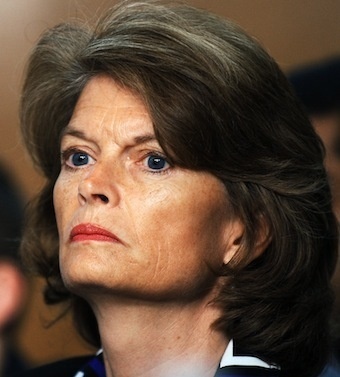 Update: GOP Senators decide to not strip Murkowski. She resigns from leadership position. What the heck is this all about? What is she thinking?